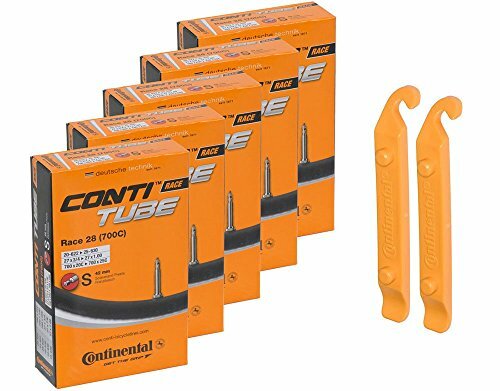 Pack of 5 Continental Race 28 700x20-25 S42 Presta Valve 42mm Bicycle Tubes & 2 Continental Tire Lever. The Continental quality road inner tube is a must have cycling essential for 700c bike wheels. This new ContiTube hose program makes it even easier to find the optimum hose for your needs. The very clear and user-friendly hose system was perfectly adapted in size, design, valve type and length to the respective tire sizes and applications.